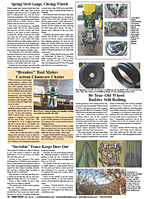 Russ Finch has plans and components available for his in-ground, heated greenhouse first featured in FARM SHOW’S Vol. 37, No. 2. Finch calls it the “Greenhouse in the Snow” and there are now 17 full-size units in place across 6 states and Canadian provinces. A full-size unit is at least 54 ft. in length; however, units as big as 96 ft. are in use to grow fruits and vegetables year-round. That price includes the cost of fans and 250 ft. of 4-in. diameter plastic tubing required to keep temperatures in the greenhouse above 28 degrees. A 78-ft. greenhouse requires 13 of the 250-ft. tubes buried 8 ft. deep to tap the year-round 52-degree temperature of the earth. The dirt floor of the greenhouse is 5 ft. below the surrounding ground surface. Finch offers the twin-wall, Lexan polycarbonate panels and the framing for the south sides of his greenhouse design. Materials to erect in-ground walls and the “back” side of the structure are available at any home supply store, as is the 4-in. diameter tubing. Finch also sells his Citrus in the Snow digital report on the geo-air energy system and how it works. The report includes color graphics, notes and comments. It can be downloaded online for $24. 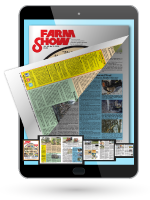 Check out a video of Finch’s greenhouse at www.farmshow.com. 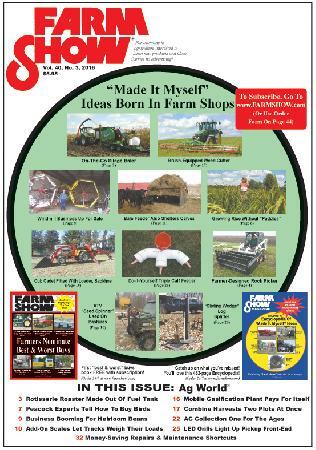 Contact: FARM SHOW Followup, Russ Finch, 1750 County Rd. 59, Alliance, Neb. 69301 (ph 308 762-3042; snowkist@hotmail.com; www.greenhouseinthesnow.com).